Blueday has been awarded a contract to deliver a complete SMART Hybrid Power Solution (integrated wind, solar and battery) by Grieg Seafood. 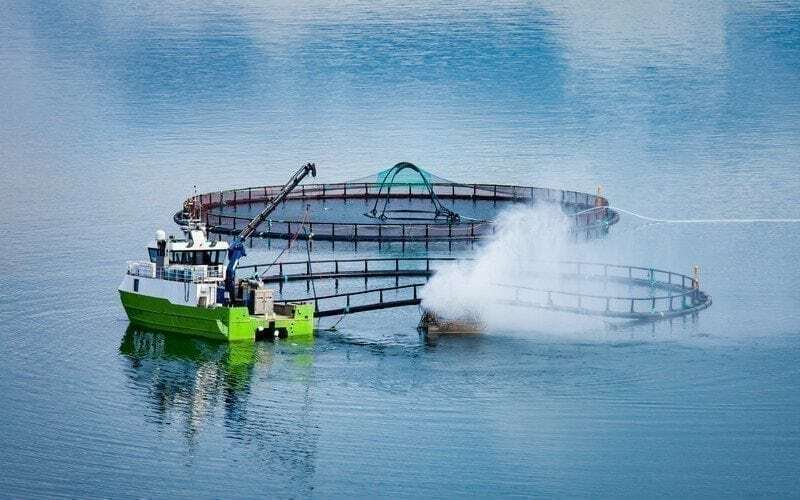 “Up until now the industry has been focusing on electric vessels, but Blueday and Grieg Seafood will now be greening fish farming assets and reducing greenhouse gas emissions”, says Hans Petter Heggebø, CEO at Blueday Technology. The location of aquaculture operations in remote areas may make the use of renewable energy a more practical option. A fundamental issue facing all of us today is the appropriate management of our energy resources. Blueday Technology has the knowledge and experience to assist its clients in efficient energy use and the minimization of an asset’s impact on the environment. “This project will reinforce Blueday Technology’s position in this segment and will open up more market opportunities, thus consolidating our capabilities as a system integration provider. We are grateful that Grieg Seafood has shown its confidence in us”, says Heggebø. Blueday Technology provides added value for its clients via its deep specialist engineering and procurement expertise, combined with extensive experience in managing complex projects. We support our clients using specialist services and expert analyses including design quality verifications, the identification and assessment of risk, and the safeguarding of overall project execution. Blueday Technology assumes responsibility for the complete design, engineering, supply, installation and commissioning of its projects. Our operations centre in Stavanger, Norway, will execute this contract, which is scheduled to be completed during the second half of 2018. Grieg Seafood ASA is one of the world’s leading fish farming companies. The Group specializes in Atlantic salmon and has an annual production capacity of more than 90,000 tons gutted weight. It currently has operations in Norway, British Columbia (Canada) and Shetland (UK), employing approximately 700 people. Grieg Seafood ASA was listed on the Oslo Stock Exchange (OSEBX) in June 2007. Its headquarters are located in Bergen, Norway. Kjetil Ørnes, Production Manager at Grieg Seafood Rogaland AS, says that the company is currently focusing on profitable growth through sustainable resource use. “Environmental issues are important to us, and we believe that our contract with Blueday will contribute towards our goal of minimizing our impact on the external environment”, says Ørnes.